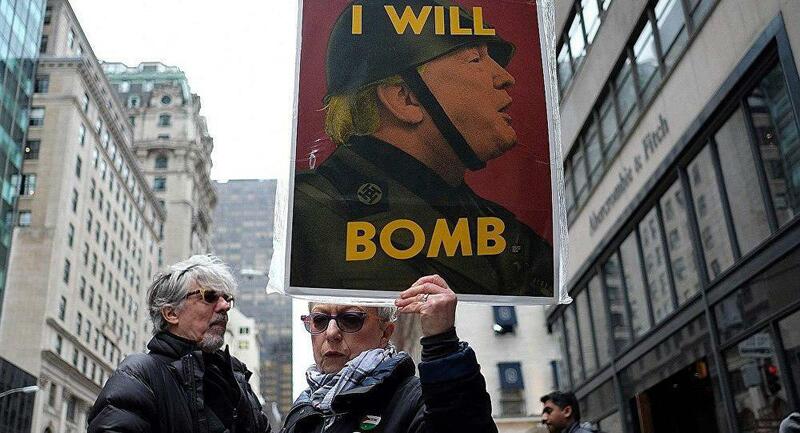 NEW YORK, April 14 (Xinhua) — A protest against U.S.-led air strikes on Syria was held at the Union Square in New York city on Saturday afternoon. "I'm opposed to it. It's another example of U.S. imperial expansion in the Middle East," said Gordon Barnes, an adjunct lecturer at Queens College, City University of New York. 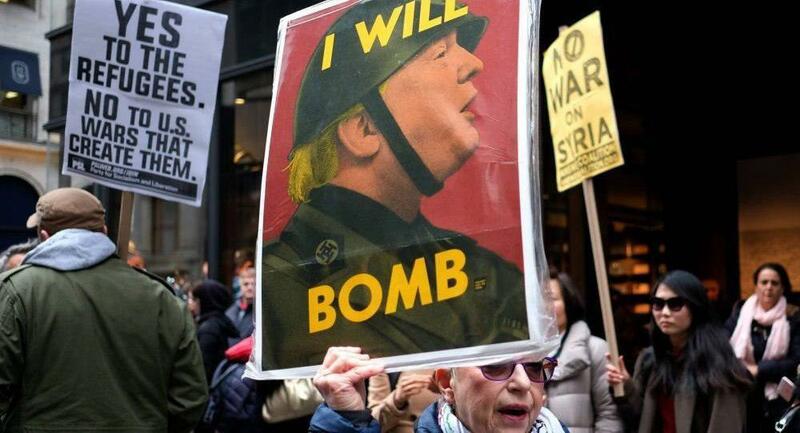 Barnes, who joined the protest, said he didn't believe that military attacks will solve the problem in Syria and viewed the U.S. military action as a disingenuous one. Asked about the refugee crisis that has aroused much controversy, Barnes said he is in favor of letting the refugees into the United States because the country is in part responsible for the crisis, not only in Syria, but also in other places around the world. Like Barnes, many voiced concerns for the civilians affected by the air strikes in Syria. "My heart goes out to the innocent Syrians who will suffer from this," said Wilson Stevens, a resident of New York city. Others questioned the legitimacy of the attack. On Friday, U.S. President Donald Trump ordered the U.S. forces to launch air strikes on targets in Syria for its alleged use of chemical weapons against civilians in the country. Russia has reacted strongly to the air strikes and warned of "consequences." After the strikes were launched, the New York City Police Department (NYPD) said in a statement that counterterrorism officers have been deployed in and around the city. However, it assured citizens that "there is no nexus to New York City, nor are there any credible threats to New York City, at this time."